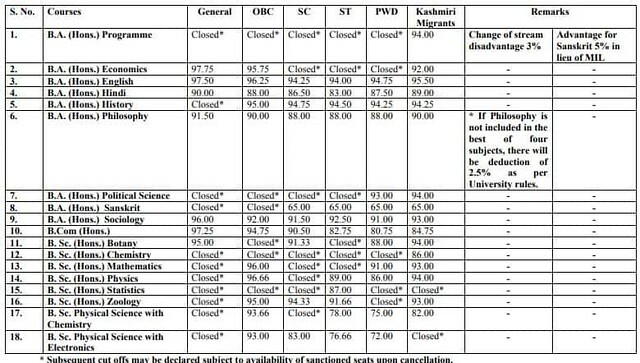 Hindu College Admission and Cut Off 2018 - Sixth Cut Off Released! 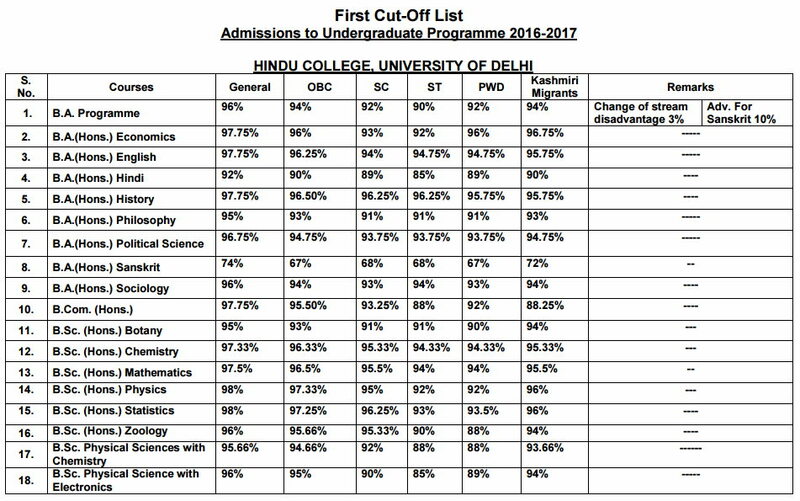 Home > Entranceexam > Hindu College Admission And Cut Off 2018 - Sixth Cut Off List Released! 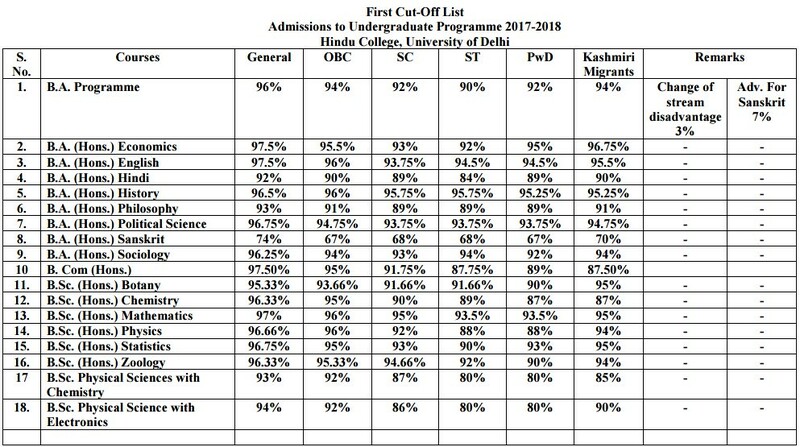 Hindu College Admission and Cut Off 2018 - Sixth Cut Off list released! Hindu College Admission and Cut off 2018 - The sixth cut off of Hindu College has been uploaded on 17 July 2018. 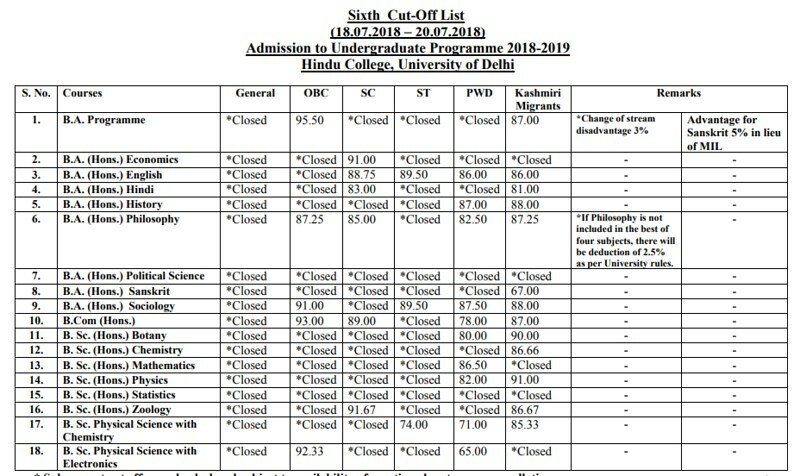 Hindu College has earlier released the first, second, third, fourth and fifth cut off for admission. Now the college has released the sixth cut off on 17 July 2018. Hindu College is affiliated to the University of Delhi. It is ranked amongst the top colleges in India for Humanities, Science & Commerce. The admission in Hindu College will be done based on Class 12 marks. This page has the details regarding the Hindu College Admission and Cut Off 2018. The Hindu College is one of the renowned colleges also known to provides a liberal, lively as well as competitive environment so as to help its students to carve out a niche for themselves in their chosen areas. 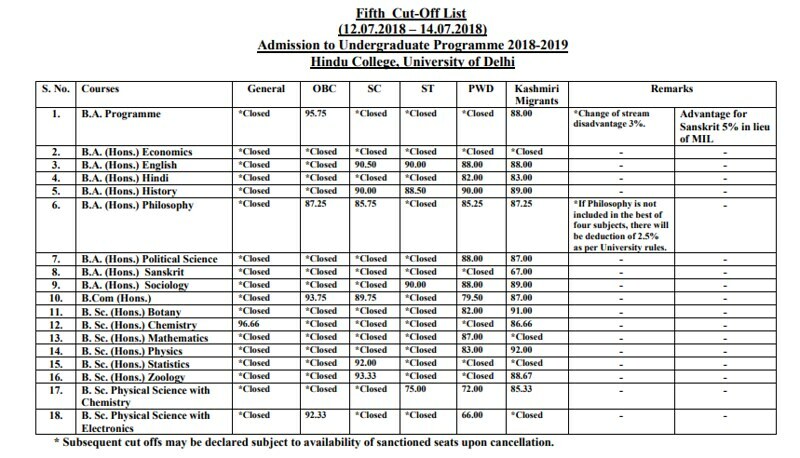 Latest Update - Hindu College has released the sixth cut off on 17 July 2018. Sixth Cut off List - Available Now! BSc Hons in Chemistry, Physics, Mathematics, Statistics, Botany and Zoology. BA in English, Economics, History, Political Science, Philosophy, Hindi, Sanskrit, Sociology, and Music. The college also gives hostel facilities to the enrolled students. There are a total of 180 boys hostel seats available in Hindu College. The candidates will be allotted the hostel seats on the basis of student’s merit and availability of seat. The students who don’t get hostel accommodation can choose to stay in rented accommodations or as a Paying Guest. The Delhi University invites the application for the colleges affiliated with the University. The annual fee for Hindu College is now available as per the category of the candidate. The candidates can get the complete list of annual course fee payable for different programmes. The annual fee for each programme offered in the Hindu is given below in INR. The candidates can go through the table below. 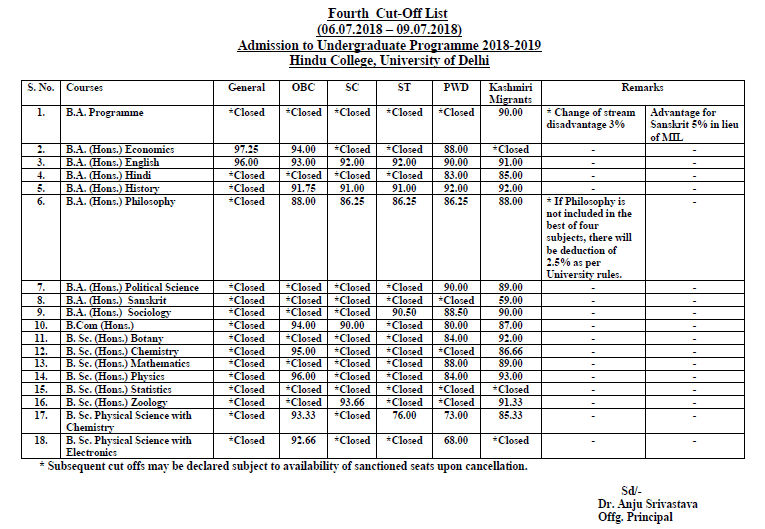 Hindu College has earlier released the first, second, third, fourth and fifth cut off for the admission. Now the college has released the sixth cut off on 17 July 2018. 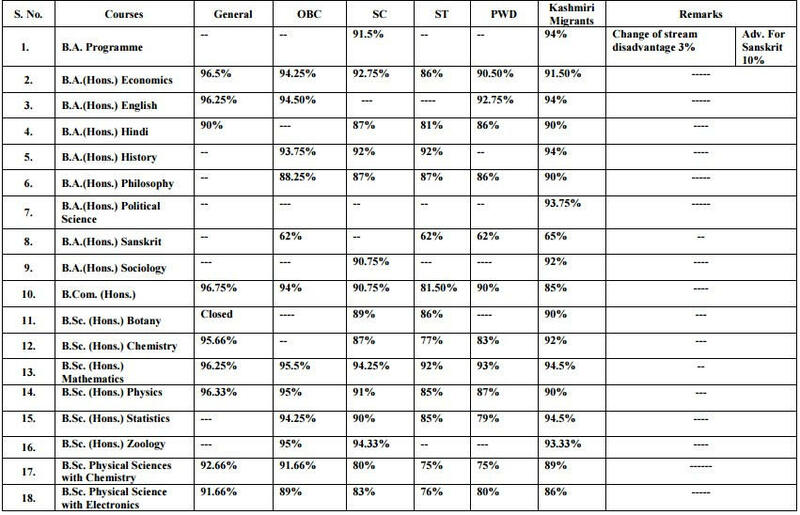 However, the further cut off lists may be declared depending on the seats vacant in the colleges. 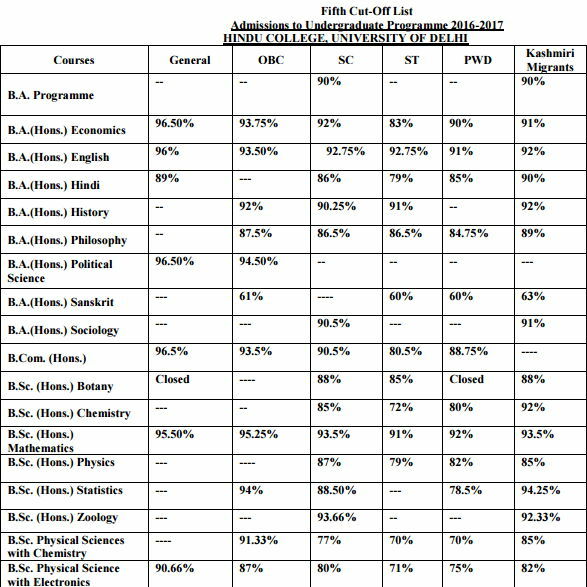 The major factor affecting the Hindu College 2018 Cut Off is the "Best of Four" received by the candidates in Class 12 exam. 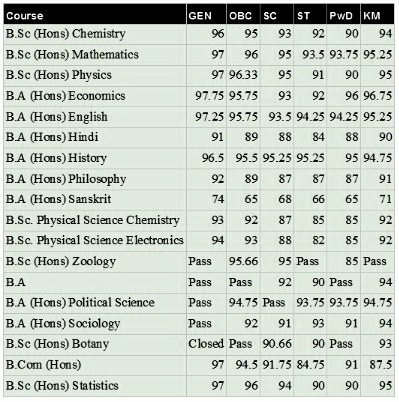 After the declaration of the cut off list by the university, the candidates need to report to the college with the requisite list of documents. After that, the candidates will be required to fill the college and university enrolment form. 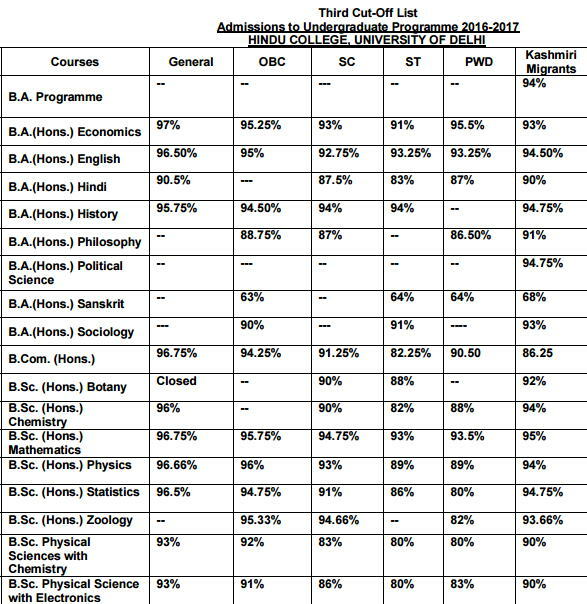 The cut off marks indicate the minimum marks required to get admission to a particular college. 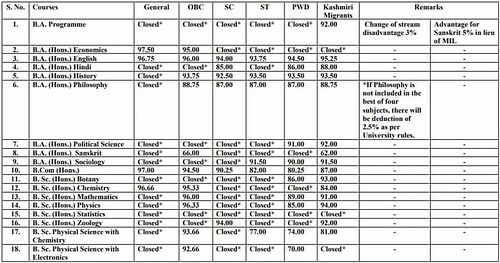 The complete schedule of releasing the Hindu College Cut off 2018 is given in the table below.